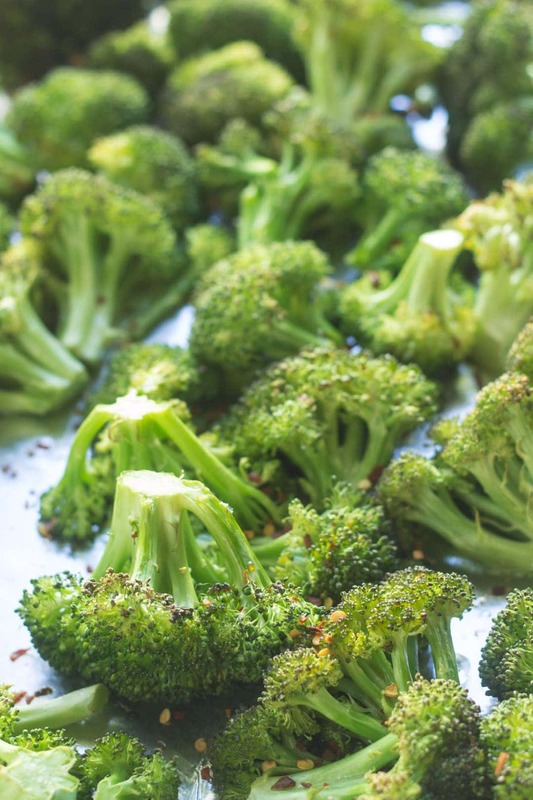 Perfect paired with grilled chicken, steak or other favorite protein food, this Low FODMAP Spicy Roasted Broccoli recipe is an easy side dish and a great way to get your greens. My go-to method of cooking most veggies is roasting. I love how roasting brings out the natural sweetness of veggies, helps cut some of the bitterness and adds a crispy texture. 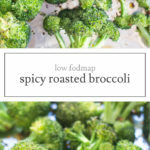 And, this Low FODMAP Spicy Roasted Broccoli is one of my favorite roasted veggie recipes. It’s a little spicy (red pepper flakes), a little sweet (tamari) and all kinds of crunchy! FODMAP Fact: When it comes to broccoli, portion size matters. If you’re in the experimentation phase (aka elimination), stick to 1 cup servings or less of broccoli in a sitting. Larger servings contain excess fructose which may trigger symptoms in some individuals. ¼ tsp. red pepper flakes. 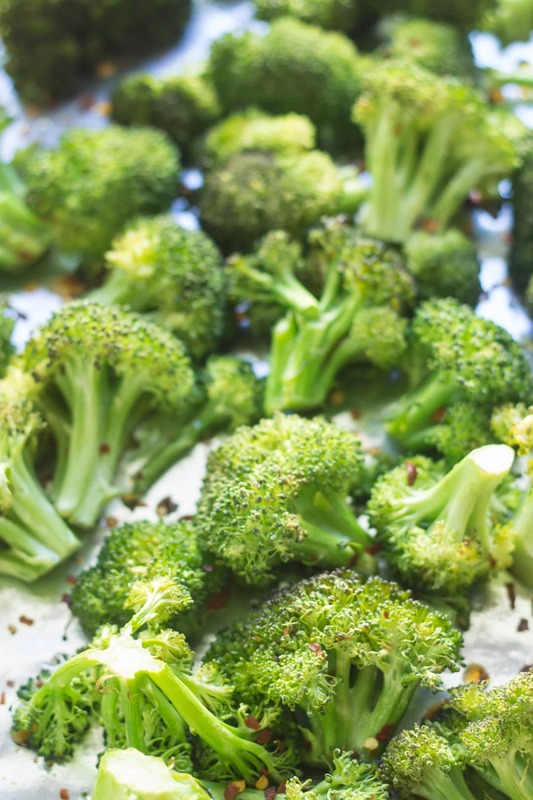 Toss broccoli florets with olive oil. Roast for 15 minutes. Sprinkle with tamari and red pepper flakes. Serve. Broccoli: A low FODMAP serving is 1 cup or 90 grams. Paleo/Whole30: Substitute coconut aminos for soy sauce. 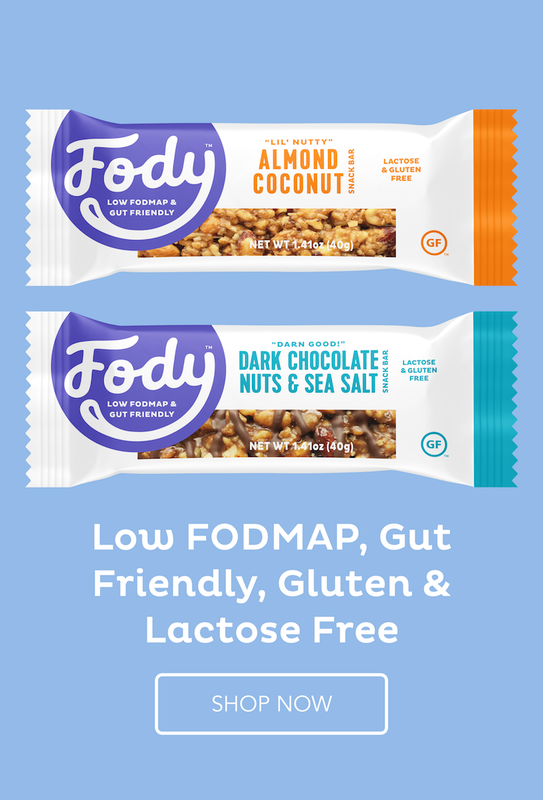 Coconut aminos has not been tested for FODMAP content. The amount used is not believed to trigger symptoms, however, it may not be tolerated by all individuals.